Louloudorsets Musings: iPad 2 - is it a must have for moi? iPad 2 - is it a must have for moi? So Apple's new iPad 2 went on sale in the USA last night (our time) and reports are it has sold out already in many stores. There were the usual queues of people waiting to be the first to get their paws on this new piece of kit. And there are a million and one reviews, assessments and video blogs about how great / not great the new iPad 2 is. After all it's Apple and every time they release a piece of kit it is a game changer. So will I be getting one? 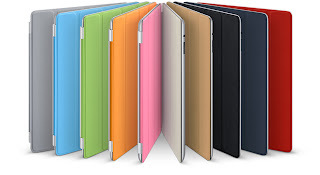 If you have been reading my blog for a while you'll know all about my dilemmas over whether to get the first iPad (will I use it, is it really necessary, blimey it's not cheap) if you haven't see here to catch up. So all my previous questions during the deliberations of would I use it have been safely answered. The iPad really is amazing, my top 5 things I use it for? 5 - Newspapers/magazines: I love The Times app, How It Works looks fab with the photography, I did download Project issues 1 & 2 but the size of the files are too big and slow for my liking. 5.5 - I know I said 5 but viewing photos on the iPad is so good it has to be mentioned. I love scrolling through all our Vegas and Grand Canyon photos and if I'd had the iPad before we went on holiday we would have noticed the camera had sprung a fault. Hey ho. Anyway as usual I digress. So iPad 2 - what's new? 1 - it's thinner and lighter. Not overly bothered by this as I carry such a large bag most of the time the weight of the iPad is inconsequential. And as I tend to use it propped up on a cushion on my lap I've never really felt the weigh was an issue. 2 - speedier processor. The new iPad has a Dual Core A5 chip making it quicker at downloading and showing stuff. Really? The current one is positively light speed compared to my PC! So nope not a big win there either for me. 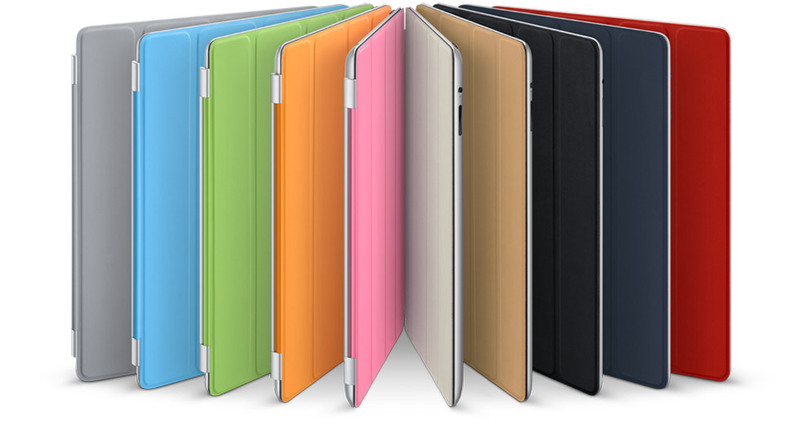 4 - the smart cover - now this is something I love (it is always the accessories that get me) with smart magnets and lots of gorgeous colours. However won't protect the back of the iPad when in a handbag so could be a big issue for me. See Apple's site for more information and video/pictures. Not a huge amount of changes then? What's missing from my perspective..
2 - flash - I know why but please c'mon we need it! So do I want one? But yep if money was no issue I would totally get one (and the pink case) because I LOVE Apple's products. And this time I would get a 3G version just so I can use it a bit more outside of wifi areas. However that £500+ is staying safely in the savings pot for holidays and the like until they make some changes I just can't live without. I mean that is a large shopping pot to abuse for a summer wardrobe no? Do you have an iPad? Will you be upgrading? No, but I have an iPod Touch.. the poor man's iPhone 4, which like the 3G iPad I would love, but I can't justify the expense of the data connection. I'm getting quite good at finding free wifi and making full use of it. Our local supermarket has free wifi so whilst I'm standing in the queue at the till I quickly check my email, Facebook and Twitter. I use facetime with my son and I've also used it to chat with Yv in the US, it works very well. Thanks for the tip about Blogpress, I've not tried that out yet. Filofax Question: Is There A Yummy Mummy Fax? Slimline Adelphi = The Travel Fax, obvious no?